The local thrift store in my neighborhood organizes their articles of clothing by type and by COLOR. This method of categorization is what excites my senses and motivates me to search, touch and discover great finds. But this is not the first time I have seen this done, for it is an imperative attribute of the display of materials at the infant and toddler schools in Reggio Emilia, Italy. I had the opportunity to experience being in their classrooms and have learned that the Reggio approach believes that the learning environment is the third teacher and the organization of materials plays a crucial part in engaging students in art making. To learn more about the Reggio approach to teaching, click here. To promote self-service, the materials in my art studio are always available to students and on display on the counter tops. Markers, colored pencils, oil pastels and water color pencils are organized by hue and temperature. 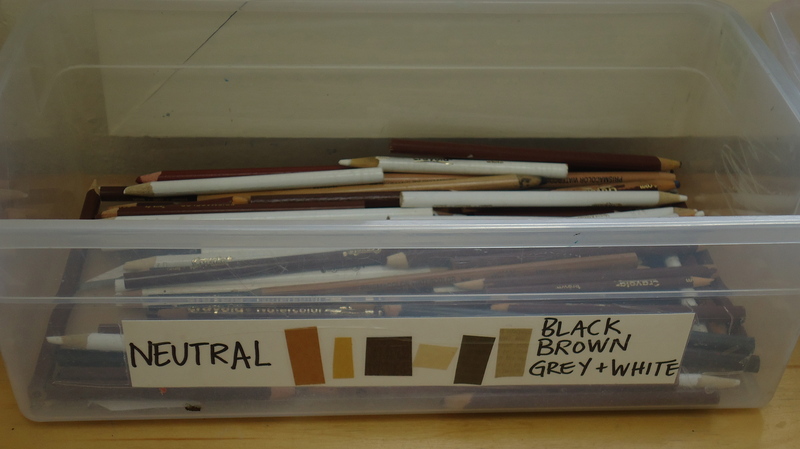 Students use trays to collect their color choices as well as scissors and glue at their leisure when they need them. 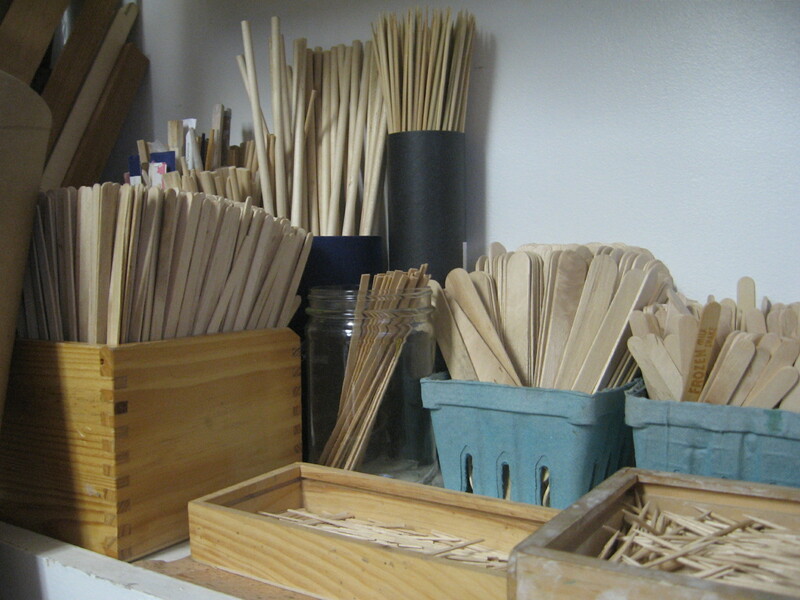 We take the time to discuss how materials can be used mindfully and respectfully and how we can practice responsibility during clean up by placing every tool back in their “home base”. The material display is eye-catching and inspiring. When objects are organized by color, I can’t help but want to TOUCH! Promoting student engagement and a desire to explore is my goal as an art teacher and maintaining a welcoming work environment will help achieve that goal. When a space is cluttered, our minds can easily become cluttered. Children will feel safe and eager to explore in a planned, clean space. Using text and visuals together in a label or message display helps children to make connections between words and images. Every picture tells a story, don’t it? Do you enjoy organizing? What have been some successful and/or aesthetically pleasing ways you have designed a space?